Halloween is a fun time for kids of all ages. 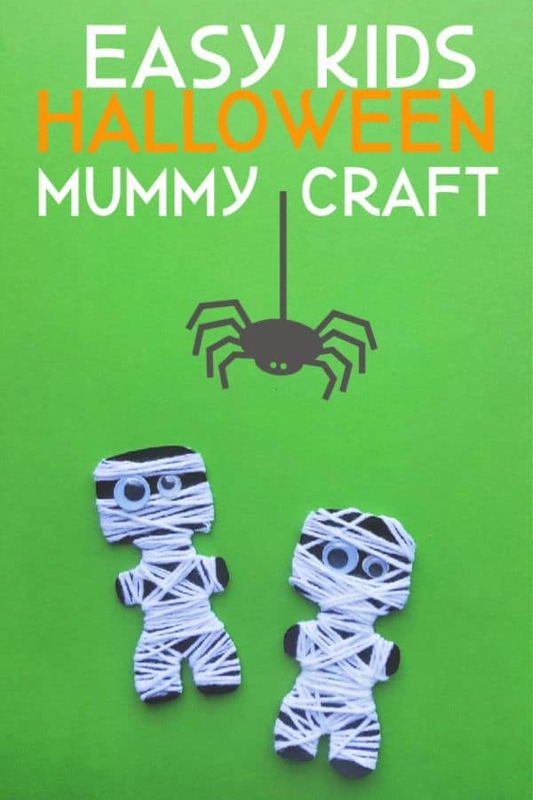 Whether you are planning a class Halloween craft or looking for a fun craft to make together this easy mummy craft is the perfect Halloween crafts for kids. Only 5 supplies needed to make your Halloween paper craft. 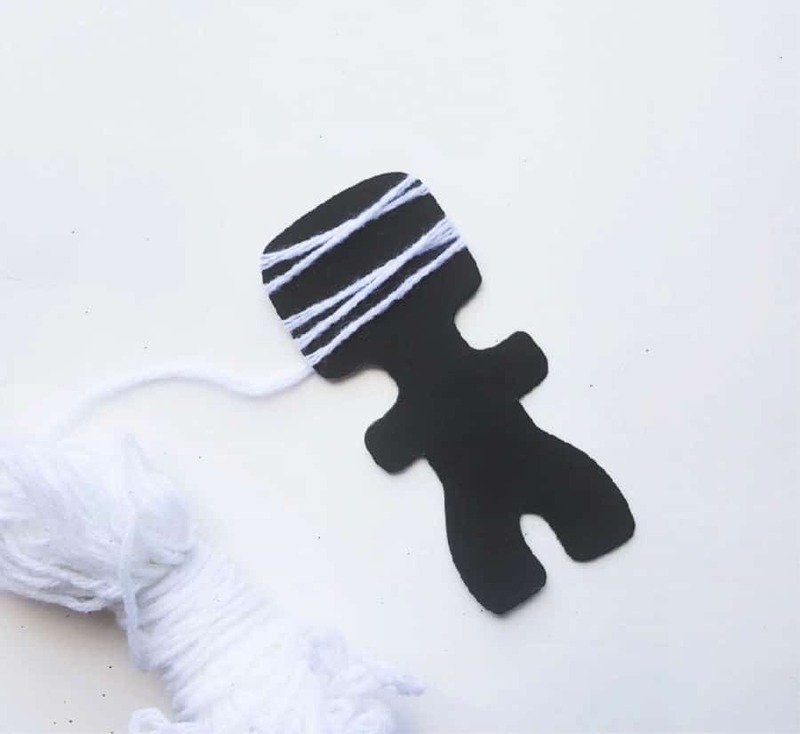 Easy to customize the colors according to your child’s preference or create a standard black and white mummy craft. 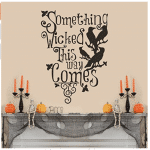 Once completed these Halloween crafts are perfect for decorating your door or classroom. Grab more Halloween decoration ideas from our favorites. 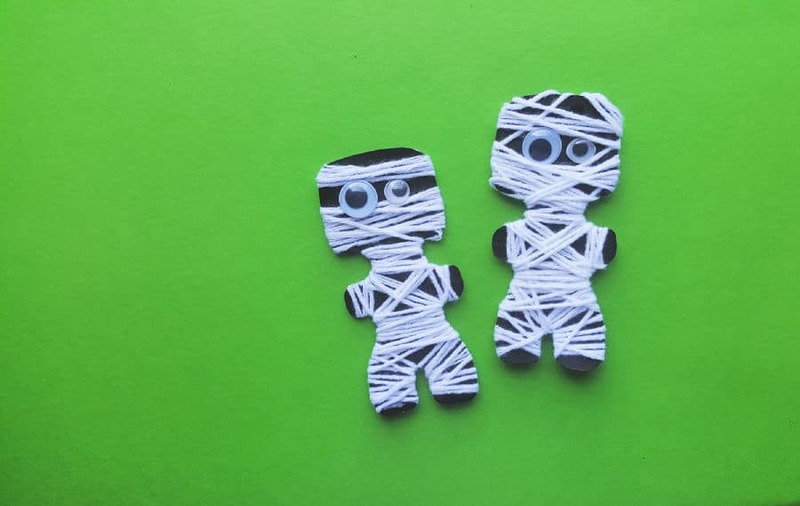 Don’t forget a great Halloween food to serve while making these paper mummies. 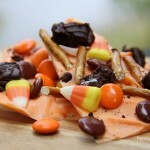 Our Halloween Bark is a hit with kids of all ages. Step 1 – Grab the selected cardstock paper for the project and trace the pattern from the template on the cardstock paper with a pencil. Step 2 – Use scissors to cut out the traced pattern from the cardstock paper. 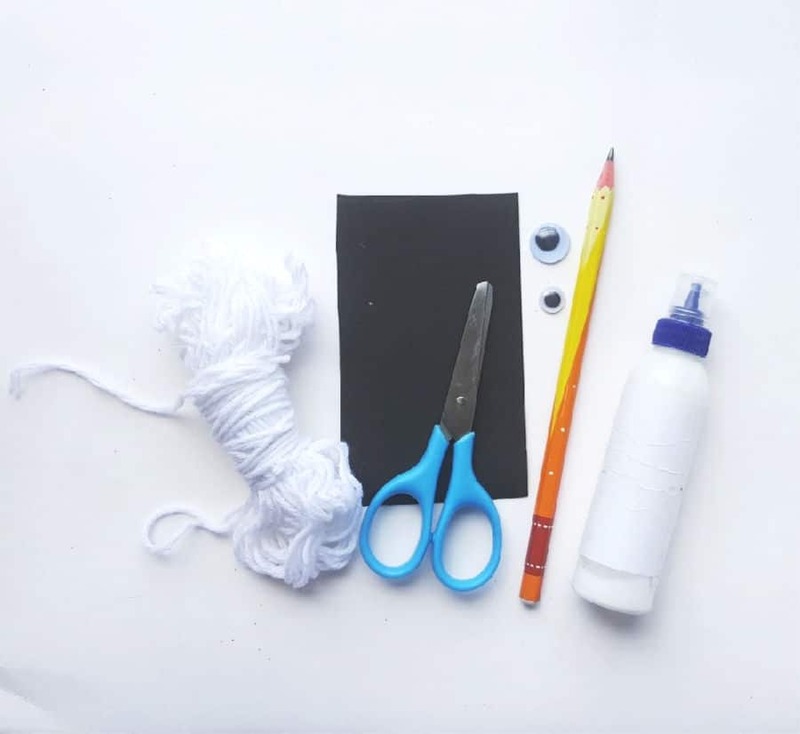 Step 3 – Select white yarn and glue its end with the cut-out pattern’s top side. Step 4 – Bring the glued yarn to the other side of the pattern. This will be the front side of the mummy. Start to wrap the yarn around the pattern. Keep space on the head part for the eyes. Step 5 – Move downwards while wrapping the yarn around the pattern. Wrap the hands, body, and legs one by one. Step 6 – Done wrapping? Bring the yarn to the other side (back side of the mummy pattern) and cut off yarn from the bundle, keeping about an inch extra at the end. Insert the remaining end through the wrapped yarns and apply a drop of glue on them to make sure that the wrapping is secured. Step 7 – Select googly eyes for the mummy. 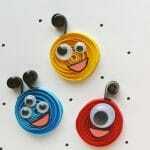 I used 2 different sized eyes in the example. Step 8 – Glue the eyes on the head part of the mummy pattern; along the space that we kept while wrapping the yarn and allow the glue dry entirely. Looking for more Halloween decoration ideas? 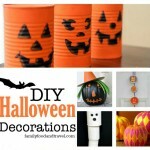 Check out our DIY Halloween decorations – from cute to spooky!